As mentioned under the Palawan main page, Palawan is basically split into two major islands, north and south. The islands in the north are known as the Calamianes Group of Islands. This consists of Basuanga Island (the main island you see when looking at a map), Coron Island and Culion Island. 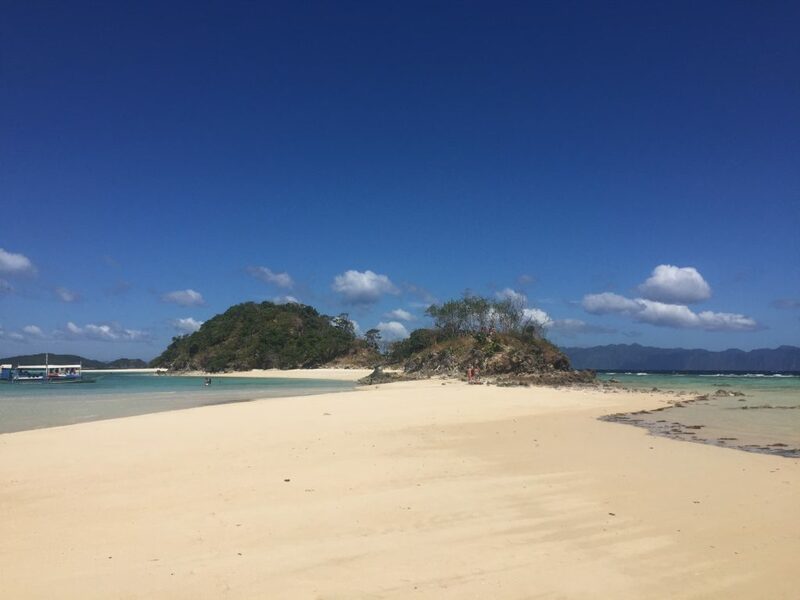 When most people refer to “Coron”, they are actually referring to Basuanga. To complicate things even more, Coron is also a town. Commonly referred to as Coron “town proper”, this town is actually the capital of Basuanga. Coron “Island” is actually a smaller island south of the much larger Basuanga. Hence when you take a flight to “Coron”, the airport is actually in Basuanga. 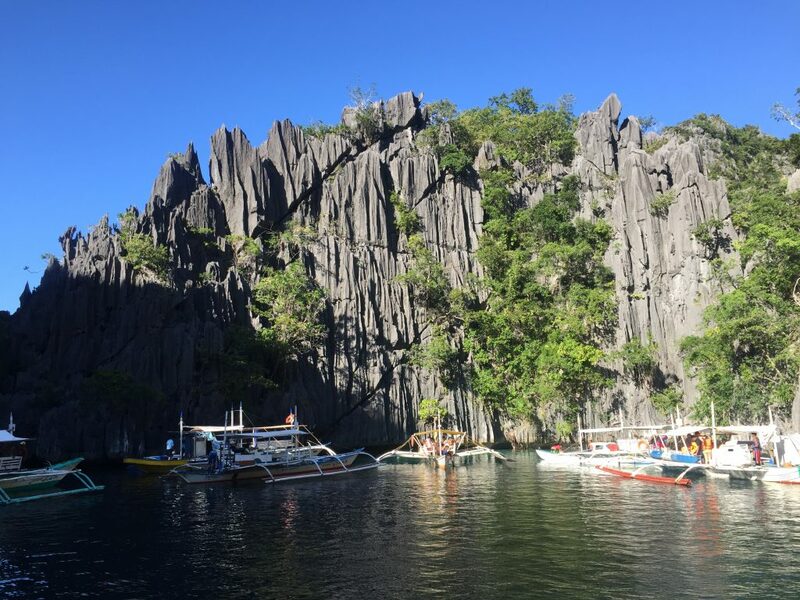 Now that we have that cleared up, it is Coron Island that is the major tourist attraction in the northern part of Palawan. 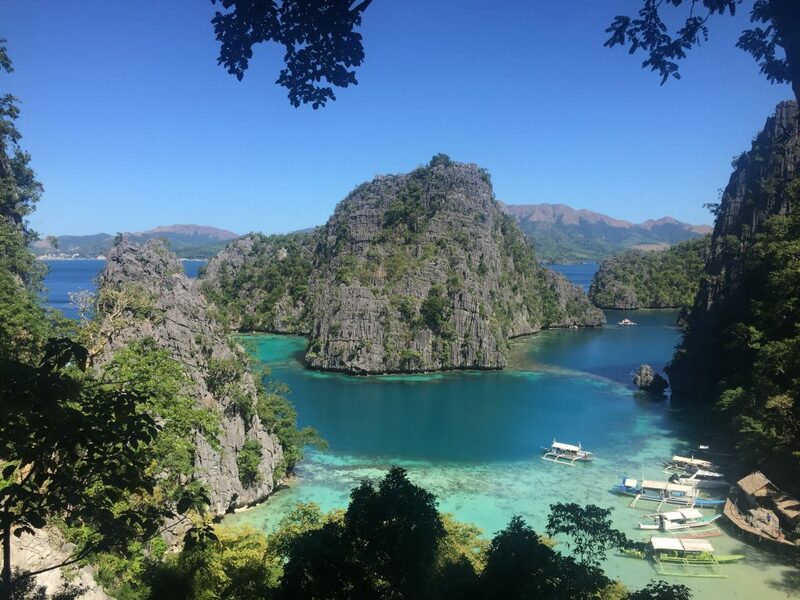 With its beautiful lagoons, lakes, pristine white sand beaches, coral and marine life, shipwrecks and amazing limestone cliffs and karsts rising high out of the water, Coron is considered one of the best places not just in the Philippines, but the world! There isn’t much point in talking too much about Coron, as I simply cannot do justice with words. You need to see the place in photos and videos to fully appreciate the beauty of the place. So below are some of my photos or you can watch a video I put together of this simply breathtaking place. 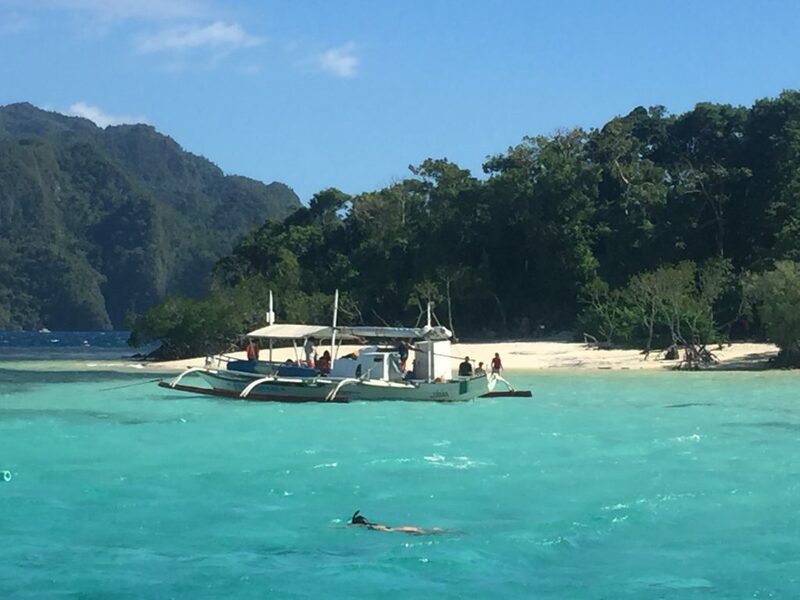 If you did want to read more, check out my blog about Palawan. Kagayan Lagoon is one of the most amazing spectacles you will see. As you pull in, giant limestone karsts and cliffs greet and surround you. The clear turquoise water has to be seen to be believed. Kagayan Lagoon backs onto Kagayan Lake. This is a freshwater lake with water so clear, you can just about see the bottom. There is a little bit of an uphill hike from Kagayan Lagoon to get there. However, the refreshing water cools you down in a hurry as demonstrated here by my daughter and myself. Beach 91 in Coron doesn’t have the most awe inspiring name, but that doesn’t matter. This beach small and secluded beach is the epitome of a tropical paradise. 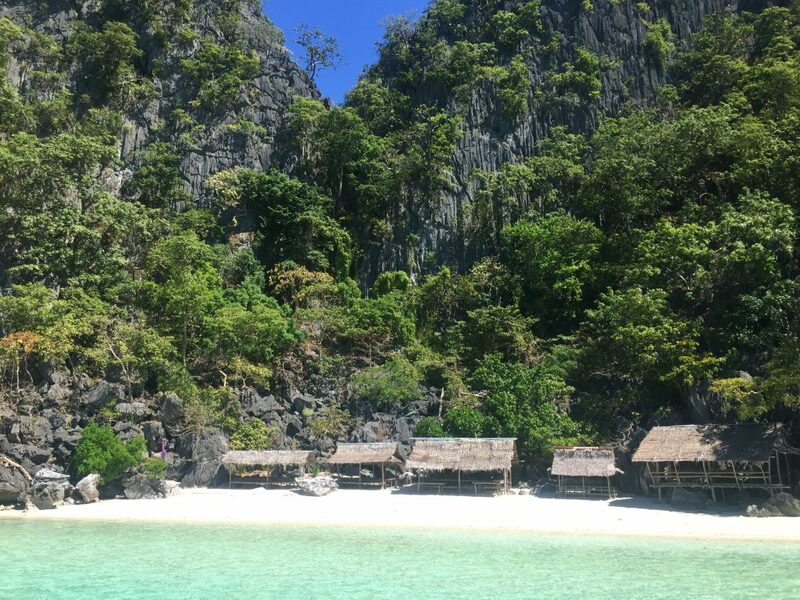 Powdery white sand, nipa leaf huts, crystal clear water and limestone cliffs with total peace and serenity. You could not possibly want for more. 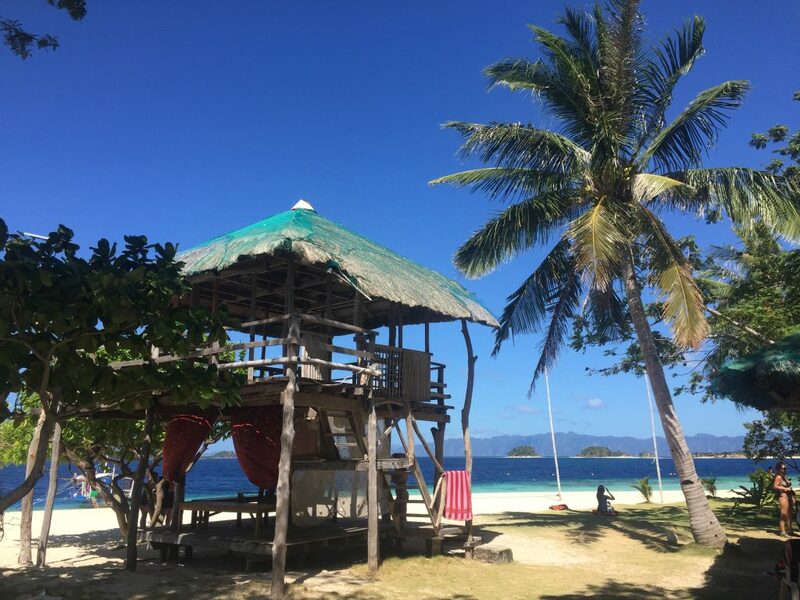 CYC (Coron Youth Club) Island is the only public beach in the area. The only drawback is the large population of sea urchins lurking around the shore. 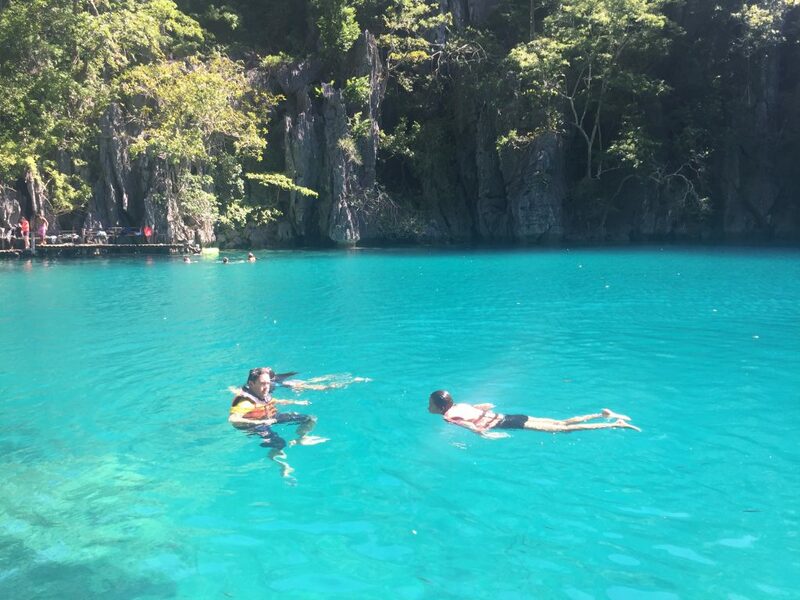 Twin Lagoons in Coron is an absolutely amazing sight. There are two lagoons literally side by side, with a large limestone wall separating them. There is a very small opening in the wall which allows you to swim through. This allows you to experience the beauty and tranquility of both lagoons. 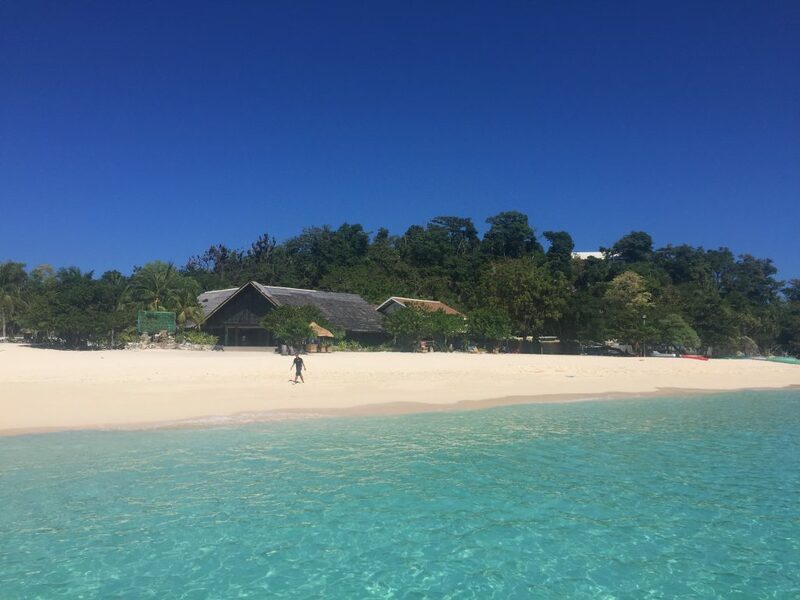 The sand bar on Bulalacao Island is amazing and just has to be experienced. The powdery white sand bar snakes its way out from the exclusive Two Seasons Resort. It is then surrounded on each side by the best tropical waters you will ever see. 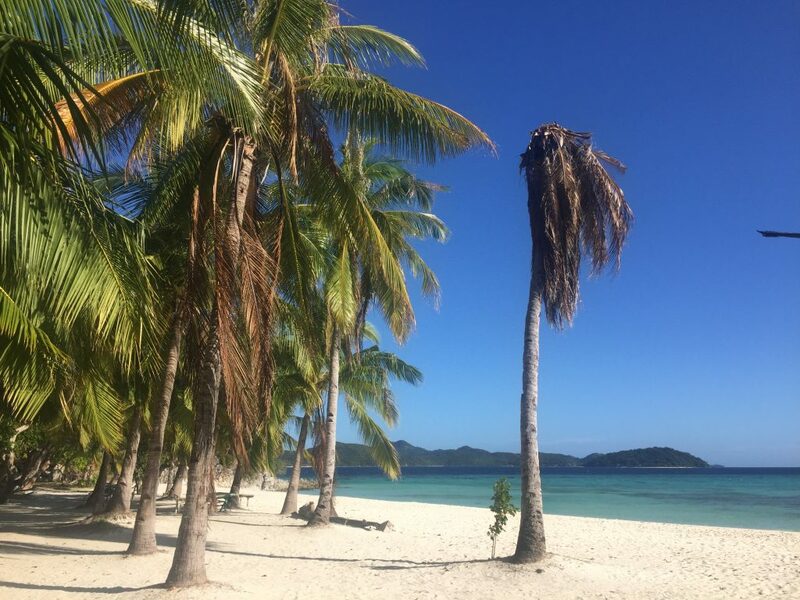 Banana Island was a lunchtime stopover and was another spectacular white sand beach with swaying palm trees and postcard perfect views. The boat crew prepared a seafood lunch which was awesome to eat whilst taking in the views. Malcapuya Island may well be the best island of the lot. If I was ever to be stranded on a tropical island, then this is the one! Club Paradise Resort was a place in Coron that we stayed at. This is literally an island resort and words just can’t describe the beauty of the place. Club Paradise Resort faces towards the west so you are able to catch the sunsets. Whilst sitting there on the beach enjoying several cocktails, I was treated to this epic sunset. Please click below to watch my video about Coron in Palawan, voted the best island in the world! Philippine Airlines (PAL) fly to Basuanga from Manila two times daily and the flight is approximately 50 minutes. Coron: From Busuanga Airport, it is about a 20km drive to Coron Town Proper, which can take about 45 minutes. If you don’t have any pre arranged transport, you are able to get a van/taxi from the airport. The fare should be no more than P200. Basuanga and Coron Island are a little more compact than the rest of Palawan. Therefore, it is not so far to get to Coron Island or town proper from Basuanga Airport. 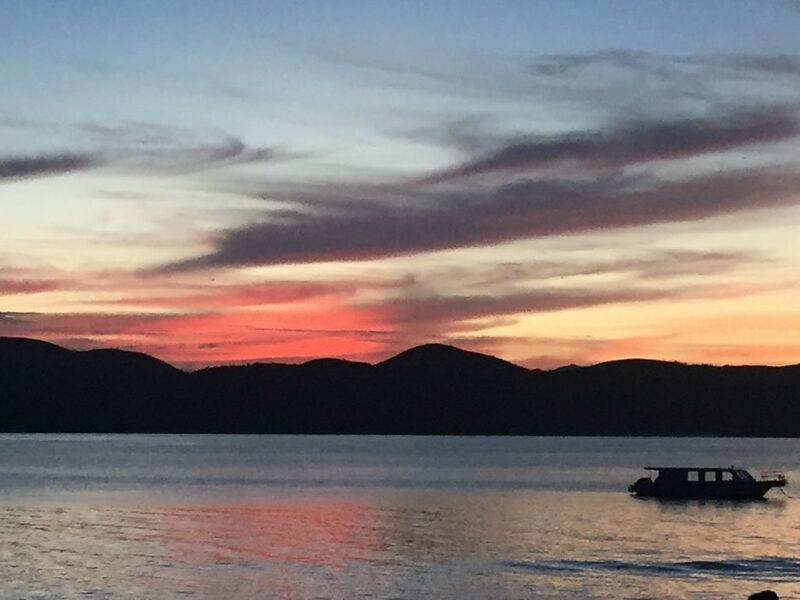 From Coron town proper, if you wanted to visit El Nido, you can take a Montenegro ferry.